If you are someone who works on a construction site or mechanics shop then you don’t need anyone telling you how loud it can get sometimes. The constant noise from machinery can impair or sometimes make working entirely impossible. Being able to hear what’s going on around you when working in dangerous environments is very important, you will be able to concentrate easier and communicate with your colleagues better. That is what Bluetooth earmuffs can do for you, there are plenty of different model out there each with their own features. These are some of the best Bluetooth earmuffs on the market they provide excellent ear protection just by them selves alone. Their features include connectivity with your phone, allowing you to take calls in noisy rooms and give you the option to switching to AM/FM radio. They are very comfortable to wear and have ventilation holes in the headband and sides of the ear cups to provide better air circulation, keeping you cool. They us 2 AA batteries and have a very long life span. When it comes to practicality in a working environment these earmuffs are the best. They come with a PTL button (press to listen) which means you can switch between listening to someone and cancelling the noise entirely, also switch between radio and noise cancellation. They are compatible with your phone and can let you take calls as well. They come with a build in microphone to communicate with your colleagues and a LCD clock. 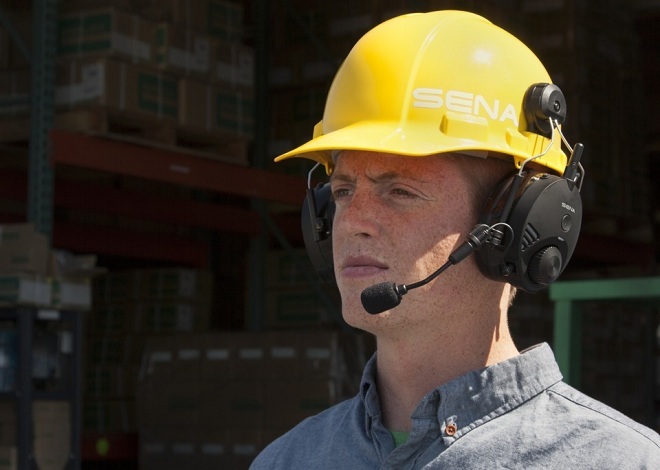 These wireless ear muffs provide everything needed for a functional working environment. These headphones have an additional practical function which allows you to collapse the head band making them easier to store in small places. They too have a Bluetooth connectivity allowing you to connect to your phone computer or any other Bluetooth enabled device. You can switch between your phone and radio which also has 10 slots that let you keep your favourite stations. Their powerful lithium battery will provide power for over 20 hours. These wireless ear muffs come with the same essentials as the previous models only you can charge them via mini USB port through your computer. These headphones are very adaptable they are designed to adjust to the noise level as you walk in and out of rooms. Also by connecting the phone to your headphones you can make and receive calls. Of course it has Bluetooth capabilities allowing you to connect to any Bluetooth device and listen to some music either via your phone or AM/FM radio. They have the added feature of not having to turn of the music when taking a call they simply lower the sound of the music and increase the sound of your call. They use 2 AA batteries and can last up to 20 hours. This entry was posted in Electronics and tagged ear muffs, headphones, wireless ear muffs by australiaonline. Bookmark the permalink.